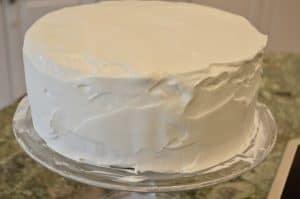 Easy Ice Cream Cake Recipe – Just 5 Ingredients! 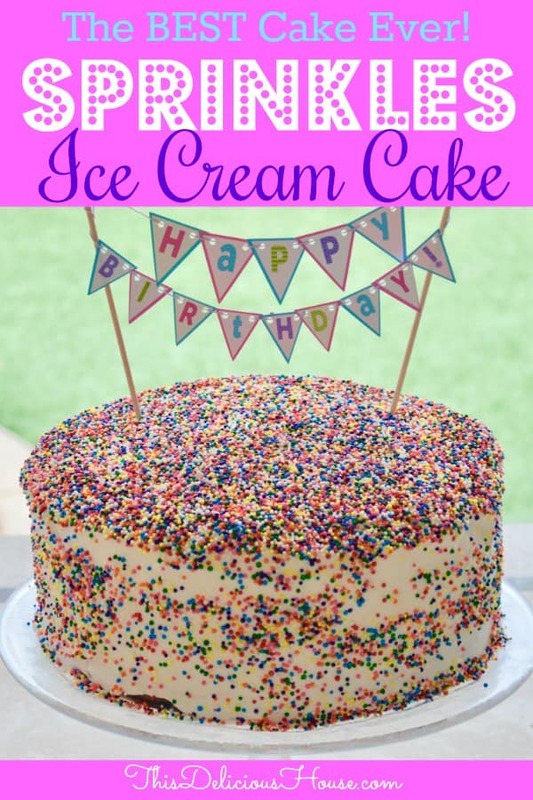 Easy Ice Cream Cake is so delicious and simple, it’s guaranteed to be your new favorite birthday cake. 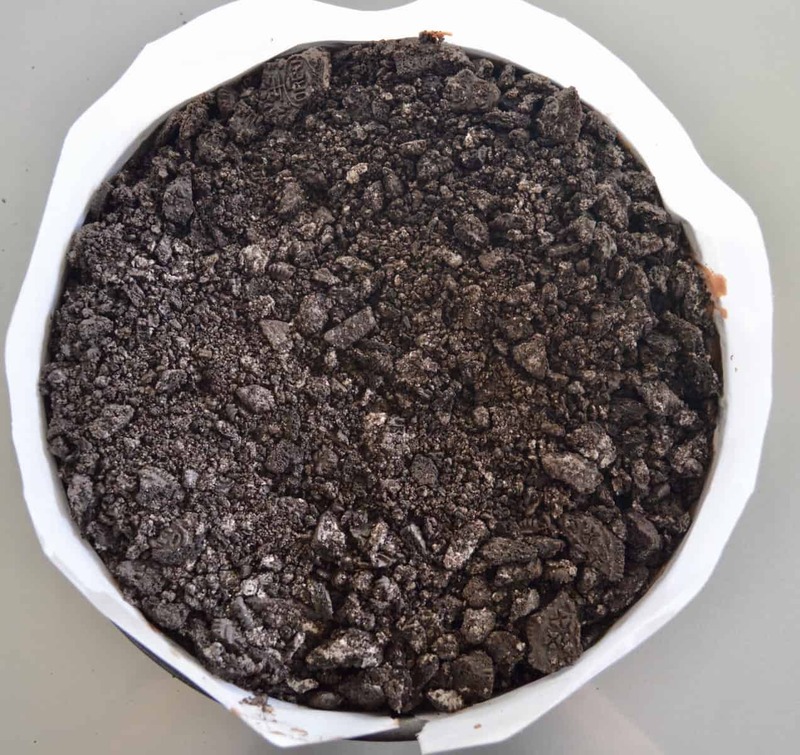 Made with ice cream, fudge, Oreos, whipped cream, and sugar, don’t miss this easy ice cream cake recipe that guests will love! 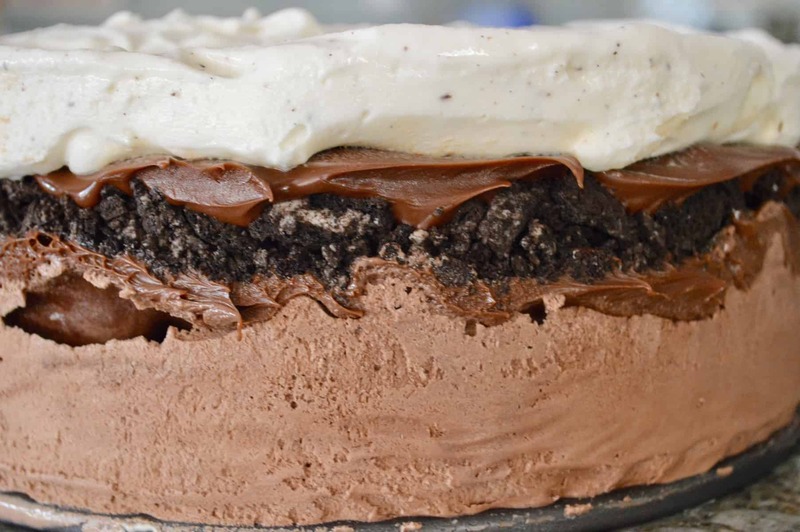 You’ll never believe how easy it is to make a totally delicious ice cream cake. Save money and make this cake at home using the ice-cream flavors you want. 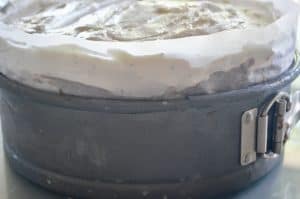 Easy Ice Cream Cake does need to be made in advance and takes time to freeze between layers, so be sure to plan accordingly. 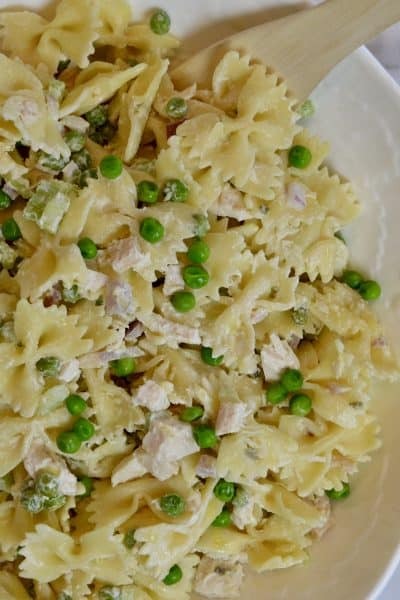 Making it is simple, just let the freezer do most of the work. This cake is totally customizable. 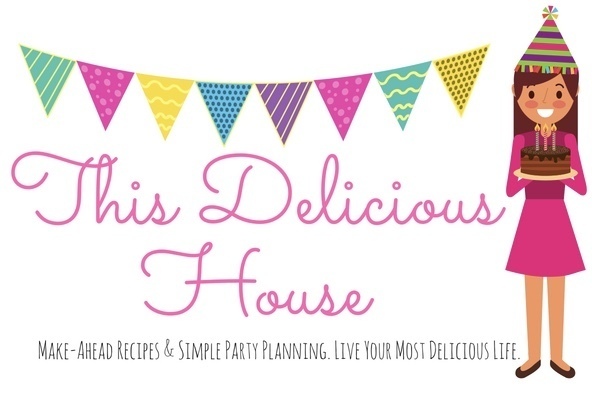 Feel free to use the ice cream, cookies, and sauces you want (would be great with caramel or butterscotch!) So easy to do, give it a try today! The cake is make in a springform pan. To gain height on the pan, spray it with cooking spray then line the inside with parchment paper so it sticks out 2-3 inches above the top of the springform. Next, add the softened chocolate ice cream (or whatever flavor you want) and freeze for 10 minutes. 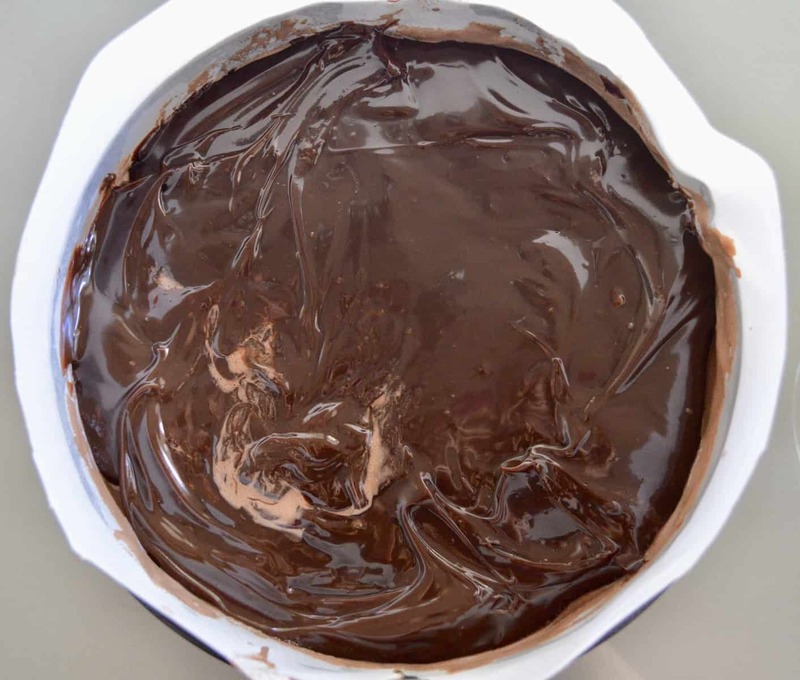 Remove the lids from the fudge and microwave until the sauce is pourable. Layer on one fudge sauce, then crushed Oreos, then the other fudge sauce. Freeze for 30 minutes until hardened. Add on the softened vanilla ice cream and return to freezer. Freeze for at least 2 hours. Remove from freezer and let sit for 5 minutes then remove the springform and parchment. Return to freezer while you make the whipped cream. Spread a thin layer of whipped cream on cake and return to freezer to harden. Freeze for 10 minutes and add on second top layer of whipped cream frosting. 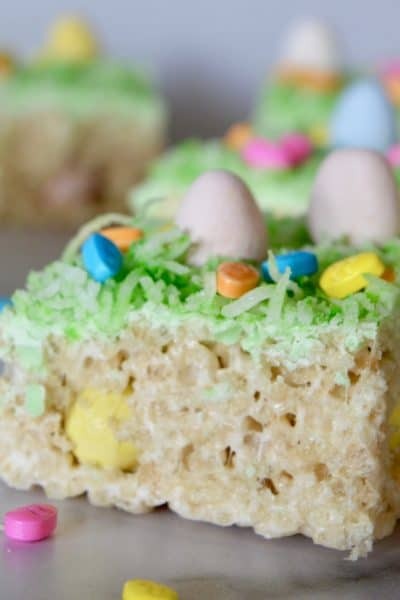 If adding sprinkles or decorations, put them on now so they have a chance to “stick” to the frosting. Return to freezer. Can be made up to 2 days in advance. Let sit at room temperature 10 minutes prior to serving. Enjoy! 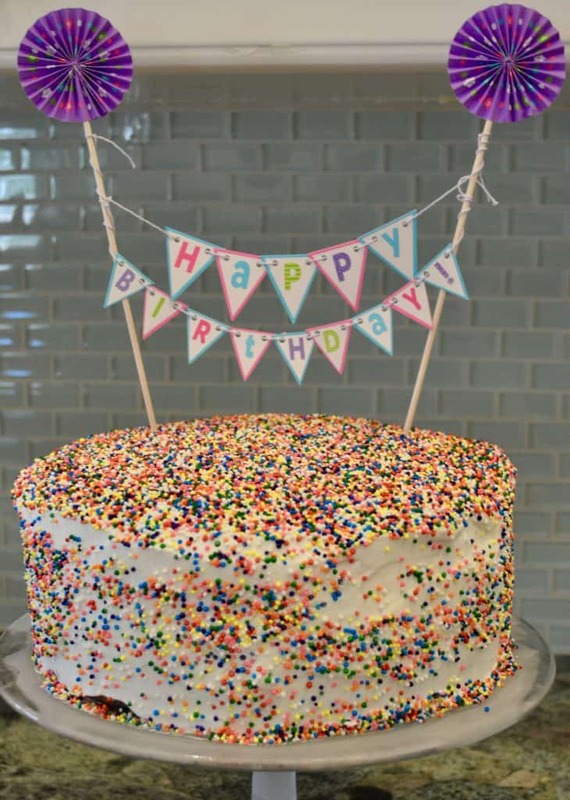 Just 5 ingredients will give you a delicious and easy birthday cake that tastes even better than the Dairy Queen Version. Grease a 9 inch springform pan with cooking spray. 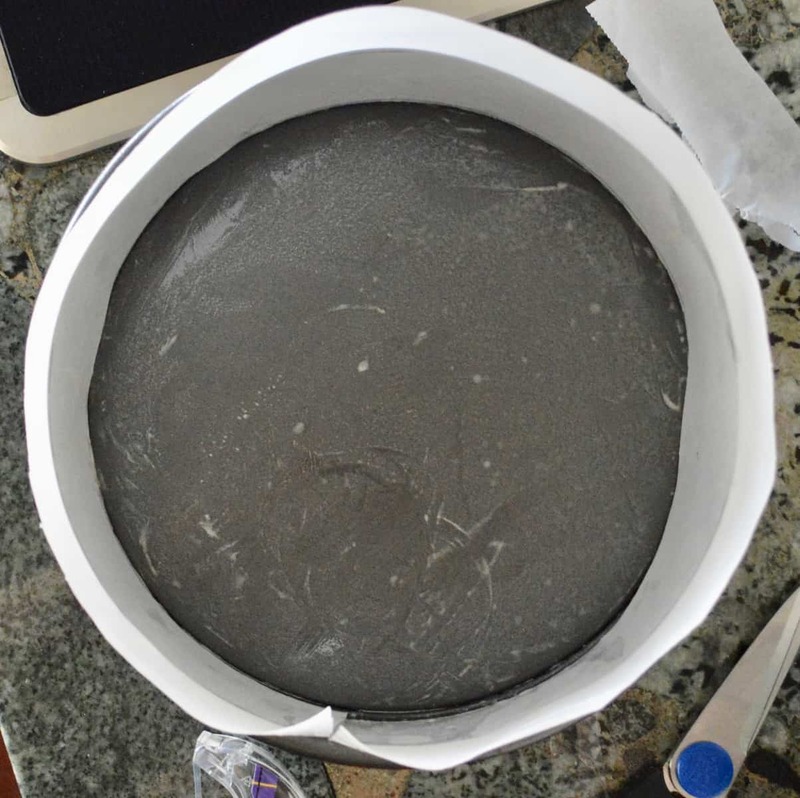 Line the inside of the springform with parchment paper so that it extends 2-3 inches above the hight of the pan. 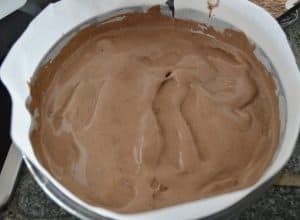 Spread the softened chocolate ice cream on the bottom of the pan and freeze for at least 10 minutes. 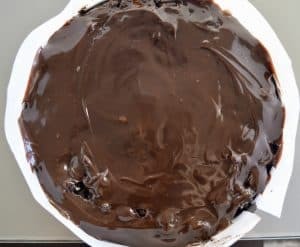 Remove lid from the fudge sauce and microwave until it is pourable. Pour one jar of fudge sauce over the chocolate ice cream. Sprinkle on the Oreos and then pour the other jar of fudge sauce over the Oreos. 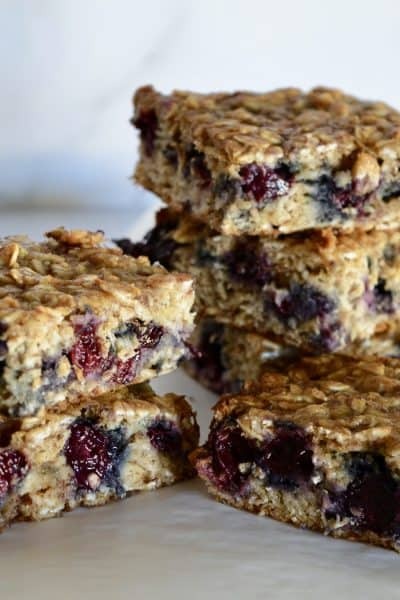 Freeze for at least 30 minutes. 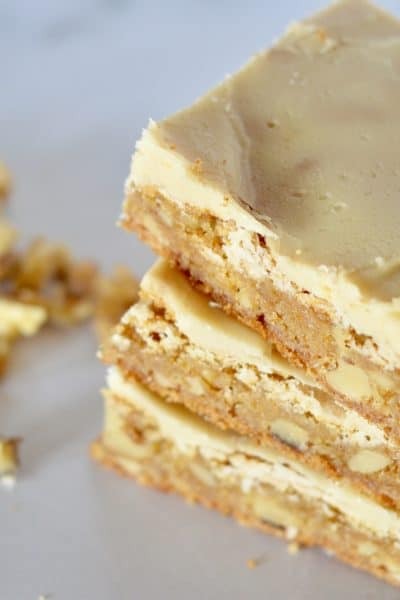 Spread the vanilla ice cream over the fudge layer and freeze for at least 2 hours. Remove from freezer and let sit at room temperature for 5 minutes before removing the springform. Put back in freezer. Prepare the whipped cream: beat the whipped cream and sugar in a chilled bowl until stiff peaks form. 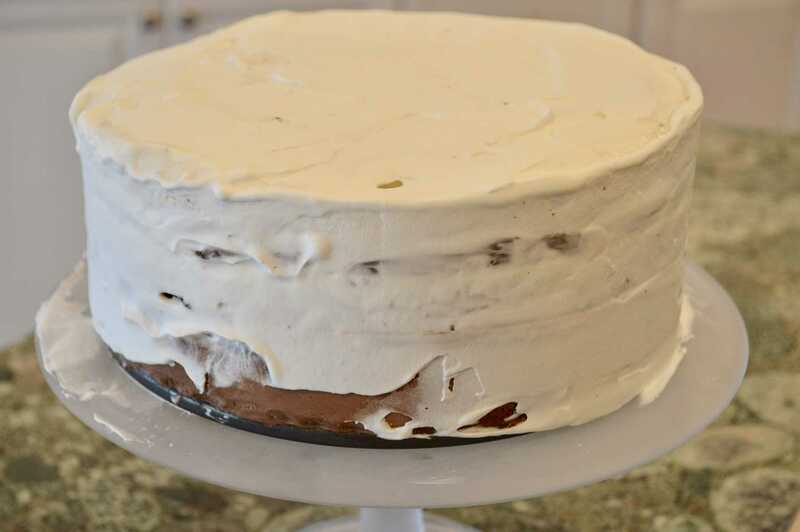 Spread a thin layer on the cake and refreeze for 15 minutes. 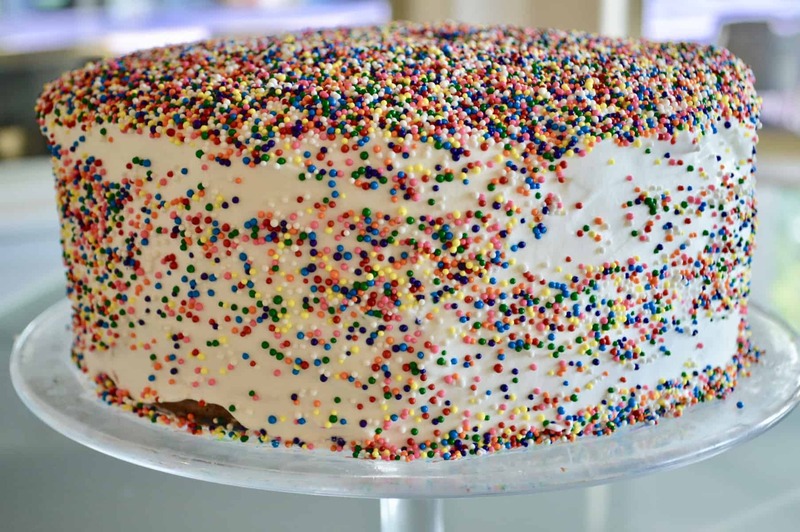 Apply a second thicker layer over the cake. 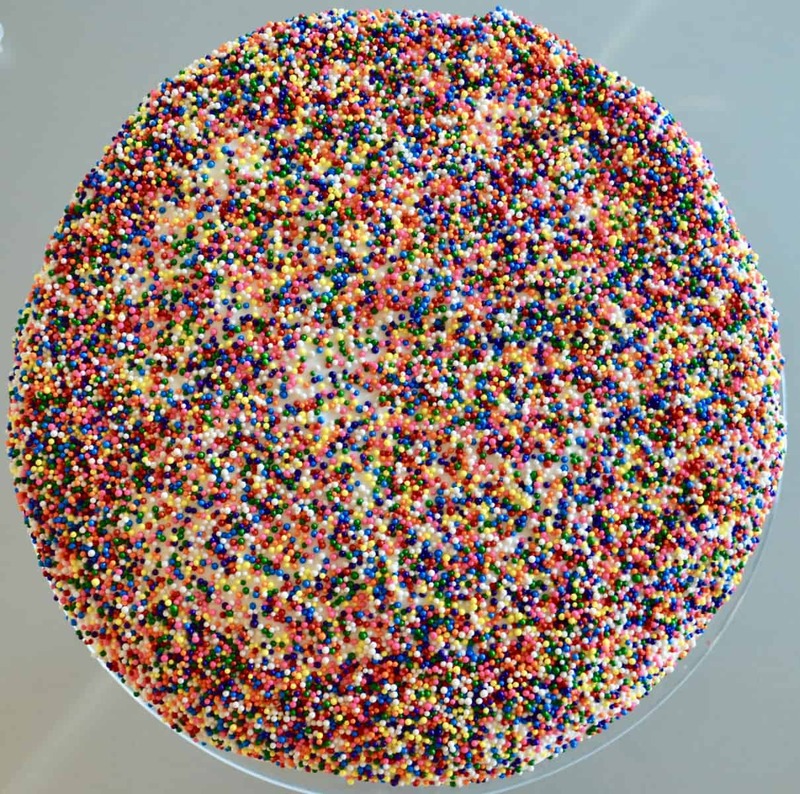 If decorating, apply the sprinkles and other decorations now and freeze to harden. 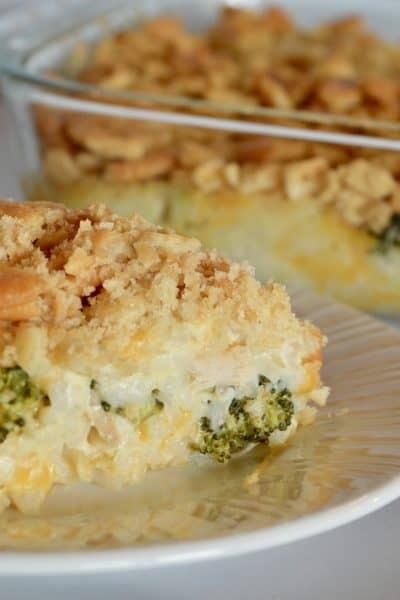 Remove from freezer about 10 minutes before serving. Enjoy! 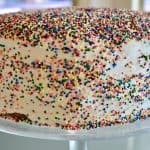 Make-Ahead Tip: You can make this entire cake up to 2 days in advance. 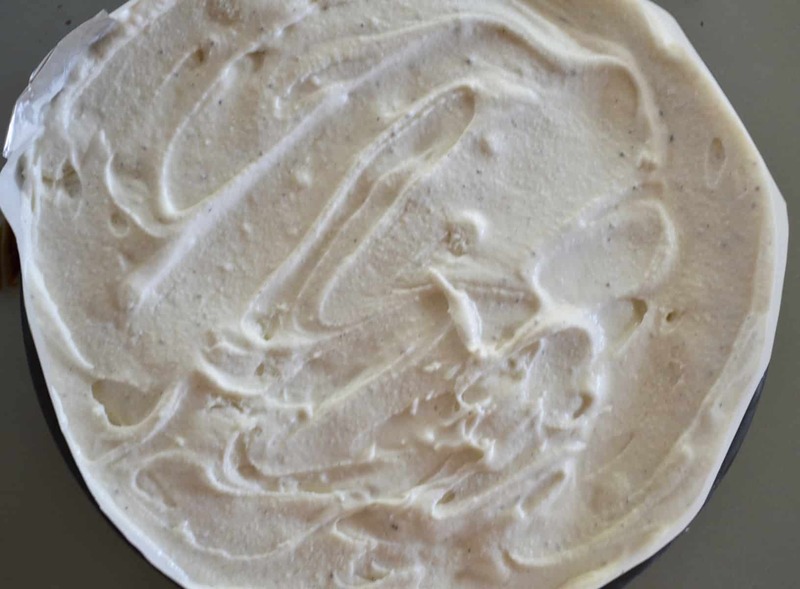 Check out my other delicious ice cream dessert like Banoffee Butter Pecan Ice Cream Cake! 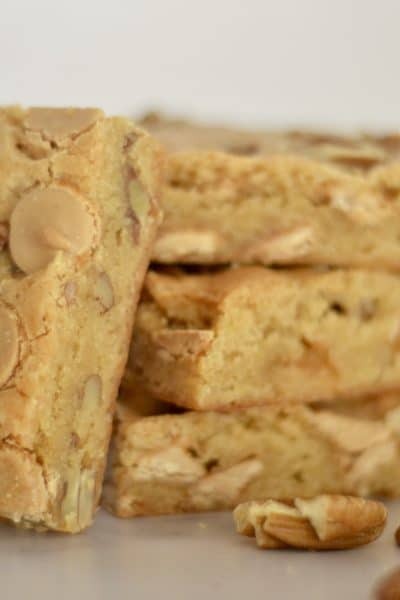 Be sure to sign up for the newsletter and never miss a recipe!